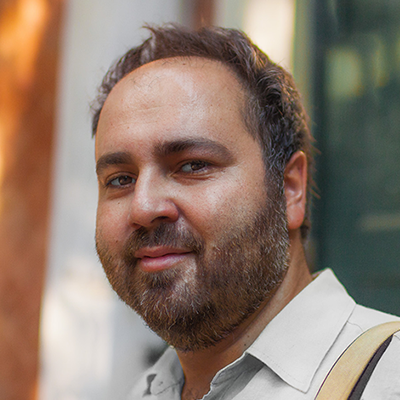 Pavlos Georgiadis is an ethnobiologist, agri-food author and food systems innovation consultant. Born and raised in Alexandroupolis, Greece, he has lived in eleven countries in Europe, Asia and America working on research projects for biodiversity conservation, rural development and citizen science. He is an active social entrepreneur in the agroecological sector, having created the single varietal extra virgin olive oil Calypso, and co-founded the consultancy company We Deliver Taste and the social cooperative for organic hemp KANNABIO. With a focus on participatory design of sustainable agrifood systems and food policy, he is consulting major R&I projects in Greece and the EU. Pavlos is a University of Edinburgh graduate with a BSc/(Hons) in Plant Science and an MSc in Biodiversity & Taxonomy of Plants. He holds a second MSc on Environmental Protection & Agricultural Food Production from the University of Hohenheim-Stuttgart, and is currently a PhD candidate on Social Sciences in Agriculture. He is the Community Manager of the GROW Observatory.